Unforeseeable circumstances destroyed my motivation and interests last month. There were even times I thought of permanently disconnecting from the internet. I would wake up, go to work, come home, and then go to sleep. There was just too much happening for me to process at one time. And on the occasions when I was not being a recluse, I was the pillar of strength for Oppa. It felt like I lost a part of myself. 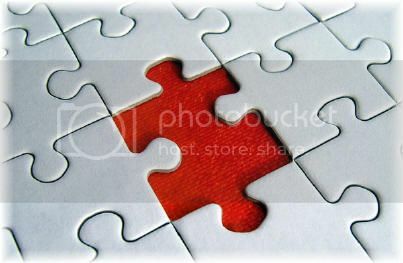 Just when I would regain that missing piece something else would happen and it would disappear again. Everything is slowly beginning to stabilize. My mother is doing well, Oppa had an interview Wednesday, and only time will heal the wound of a losing a dear friend. I truly hope August will be a better month for everyone. I felt this quote compliments exactly how I feel. I was existing, but there was no life. I went through the motions of the day like a robot. Smile during the appropriate situations, but mostly just observing. I did not like how that felt. I lost my direction and drive in life. I did not feel princessly last month nor did I care if I did. This month I will accept the things in life I cannot change and plan to reconnect with the dreams, goals, interests, and lifestyle I love once again. Thank you to everyone whom gave their well wishes. I truly appreciated them. I was just creating a post about how tired and out of balance I am feeling lately~! It's amazing that you posted exactly what I have been feeling. I'm glad i'm not the only one. I hope everything smooths out for you. So sorry to hear that you had been down in the dumps the past month. Recently I had been working a lot of hours and don't really have the time to dress up, so I kind of understand where you are coming from when it comes to not feeling as princessy as you should and not having the motivation to get to it. Don't give up though! There is always bound to be light the end of the tunnel! Eventually you too can find your lost inspiration and dreams! I wish you the best of luck with the August challenge! AngelShinigami: Sorry to hear that you have been in a rut as well. I hope everything works out for you this month as well. Let's work on getting back to our usual selves together. Lavenrose: I would say I am about half way through that tunnel. For now it seems that the worst is over with. I will try my best to stay positive. My coworkers have noticed the slight lift in my spirits. Yes! Lol, Lets ^_^ I have made the choice to drop one of my jobs so I can have more time for my life. I think that will help me get back to myself. I love your monthly challenges. They help me imporve myself bit by bit.